Megan Draper as our inspiration! 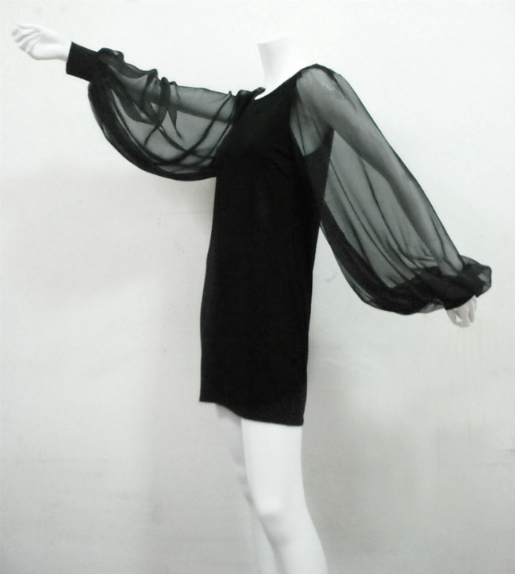 This stunning bodycon style dress crafted in soft jersey fabric, a crew neck and very dramatic contrast chiffon bell sleeves. Designed with a mini length cut. Wear with gold heels and statement necklace for the perfect party look.